There are many quality Onsens in Hakuba area. But for foreigners, it is hard to find and decide best one because most of them does not support foreign languages. There is lack of information. So we introduce our best choices of Higaeri (day trip) Onsen which have nice sceneries and wonderful hot water qualities. 「Motoyu Tsugaike-no-Yu (元湯 栂の森)」from Tsugaike Onsen. 「Norikura sou lodge(乗鞍荘)」and 「Hakuba Alps Hotel (白馬アルプスホテル)」 from Wakaguri Onsen area. Happo Onsen Area is located in the West Side (Northern Japanese Alps side) of Hakuba Station, and includes 4 Onsens, MiMizuku-no-Yu, Happo-no-Yu (formerly Daiichi Sato-no-Yu), Daini Sato-no-Yu and Obinata-no-Yu. These Onsens take hot water from same source of spring. This spring has high alkalinity and good for your skins. Alkalinity reach to over pH11 and this is very rare on a global basis. It is highest among Japanese Onsens. Basically Alkali water react and soften cuticle of your skin, emulsifies and melt skin secretion such as smegma and smoothen your skin. This is called ‘Bihada (beautiful skin)’ effect. Also, this water is good for recovery from physical exhaustion, nerve pain, muscle pain and joint pain. We can see great view of hakuba mountains from this open-air bath, that’s why we recommend this Onsen. Dip in this hot spring, beautify your skin and refresh your mind. Then after Onsen, we can eat in MiMizuku-chaya restaurant in the same place (open from 11am to 5pm). Onsen Udon noodle (390 yen) is famous in this restaurant. Adult 600yen, Child (from 3 to 12 years) 300yen. This Onsen was called Daiichi Sato-no-Yu but renewal opened on December, 2014 by new name, Happo-no-Yu. So still facility is new, but not so big Onsen and easy to access from prefectural main road. As a result it is crowded in evening time. Obinata-no-Yu is closed in winter time. Adult 800yen, Child (from 3 to 12 years) 400yen. Shionomichi Onsen Onsen Area is located in the West Side (Northern Japanese Alps side) of Hakuba Station, and includes 4 Onsens, Kurashita-no-Yu, Garden-no-Yu, Ecoland-no-Yu and Iwatake-no-Yu. These Onsens take hot water from same source of spring. This spring has chloride and hydrogen carbonate quality, and changes color of water to ginger after exposition to air. The water is good for skin inflammation such as atopy, nerve pain, muscle pain, joint pain and motor weakness. It’s salty water. We recommend Kurashita-no-Yu. There is a great view of Northern Japanese Alps from open-air bath. Face towel to buy: 200yen. Mallet Golf play fee become free after Onsen usage. Inside Bath: none but there are washing places. There are 4 Onsen areas in hakuba, That means Hakuba has 4 sources of spring. We already introduced Happo Onsen area and Shionomichi Onsen area. Other 2 Onsen areas are Katakuri Onsen area and Himekawa Onsen area. 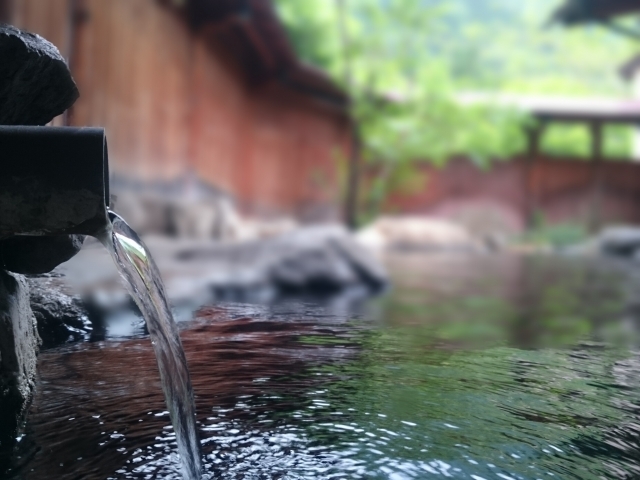 Katakuri Onsen has mild alkaline water and Himekawa Onsen has natrium (sodium) and chloride water. We recommend Tenjin-no-Yu from Himekawa Onsen which is located in Hakuba Highland Hotel. There is big bath tab and we can enjoy nice view of mountains from open-air bath. Face towel to buy: 100yen. Bath towel to buy: 300yen. Next, we go away from Hakuba area a bit. Going northern area from Happo Onsen area, there is Tsugaike ski resort (栂池スキー場). In this area, 「Motoyu Tsuga-no-Mori (元湯 栂の森)」 is located. Water is a bit green and mild alkalinated. Bath is not big and as soon as Tsugaike ski resort is closed in evening, many skiers rush to this Onsen. So It’s better to choose time to go. Adult 700yen, Child (from 3 to 12 years) 500yen, Elder 500yen. 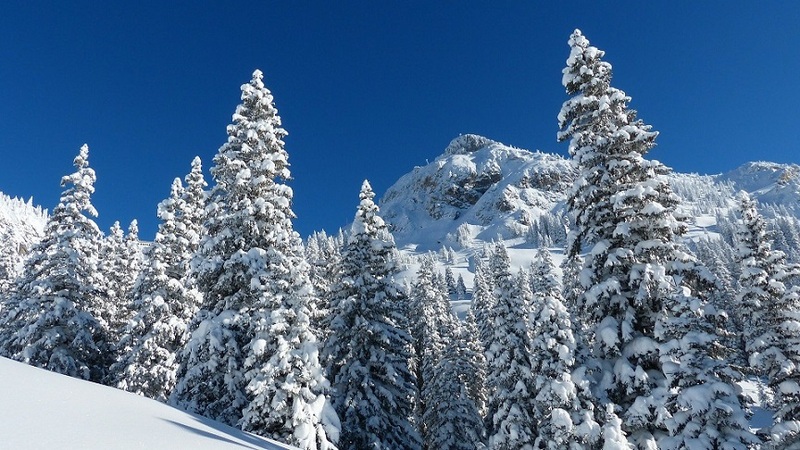 Going further north across Tsugaike ski resort (栂池スキー場), Hakuba Cortina ski resort is located. In this area, we confidently recommend Wakaguri Onsen (若栗温泉). Ginger colored water is sodium hydrogen carbonated. Also sulfur is mixed and smelled. This water is effective to nerve pain, muscle pain and joint pain. Abundant hot water is flowing through bath tab. There is no open-air bath but we can enjoy Hakuba mountains view from inside bath. Adult 600yen, Child (from 3 to 12 years) 500yen, Infant 300yen. In this hotel, we can also enjoy Wakaguri Onsen. There is open-air bath here. There is Onsen museum in Omachi city which is connected to 「Yakushi-no-Yu (湯けむり屋敷　薬師の湯)」. History of Onsen in Northern Japanese Alps and relationship with human is displayed. By museum ticket, Yakushi-no-Yu is also available. Yakushi-no-Yu has 18 bath tabs!! You can’t miss it even you are not Onsen mania. Adult 700yen, Child (from 3 to 12 years) 300yen, infant 100yen. There are many Onsens in Hakuba area but what we introduced here is really nice day trip Onsens to go. Some of it are located in Hotels and lodges but all Onsens we introduced is day trip Onsens and don’t need to stay the night as a guest. Copyright© morigasuki.net , 2017 All Rights Reserved.